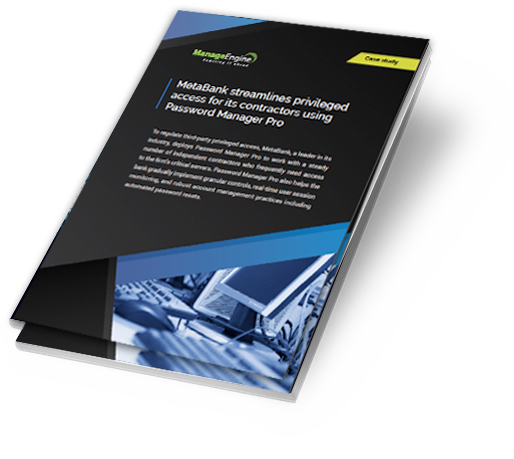 Read about how MetaBank uses Password Manager Pro to regulate privileged access for a steady number of independent contractors who frequently require access to the bank's critical servers. Password Manager Pro also helps the bank implement granular controls, real-time user session monitoring, and robust account management practices including automated password resets. Just fill in this form and download the case study. The PDF will open in a new window.